The following is the transcript of His Holiness Younus AlGohar's interview with the Telshan Network (TNL TV). Interviewer: Welcome to the TNL TV. We are having a live programme; you can even watch our programme on the website www.tnltvisira.com. We are going to discuss a subject related to Kalki Avatar Foundation, their title is: How can one connect with God? Kalki Avatar Foundation is a multi-faith, non-religious spiritual organisation that enlightens human beings by heart meditation and fills the heart with love and peace. So, today we have a special guest with us here: His Holiness Younus AlGohar, the Representative of the Awaited One Lord Ra Riaz Gohar Shahi and the Chief Executive Officer of Kalki Avatar Foundation International. Welcome Your Holiness Younus AlGohar to Sri Lanka. Interviewer: Based on the title, please enlighten us: how can one connect with God? Connecting with God is very important and many religions were established by prophets and messengers that God sent on Earth. However, after some time, after the departure of those messengers and prophets, when the Divine Text was modified and adulterated, connecting to God became difficult. And in some cases, it became so impossible. Today, we are discussing how to connect with God in an atmosphere where so many religions are propagating their philosophies; so many faiths are spreading their philosophies. Today, we need to understand the real knowledge which is the basis of every religion; and we propagate spiritual knowledge that comes from Lord Ra Riaz Gohar Shahi. Connecting to God is very important - as I earlier mentioned, many religions were established and many faiths were established by God via messengers and prophets. In this day and age, as we see the world falling apart, people are fighting and people of the same religion are not at peace. They are fighting and they are killing each other, and the hatred has taken its toll. People go to temples, people go to mosques, churches - even then their heart is not pure. They practise their religion; even then they are not connected with God. These are the End Times in which God has designed something special for all people of all religions of the world. And now, presently, I would like to draw your attention to the most authentic and readily available sources through which one can connect with God. And these are the Divine Signs. The images of the Awaited One have been manifested by God on the Moon, on the Holy Black Stone, on Mars and these images are clearly visible. By merely looking at the face of the Lord, the Awaited One, on the Moon, people can get connected with God. It has become so easy and simple: looking at the image of the Lord, saying the name of the Lord three times, and God’s name is inside the heart! These images are the manifestation of God and these images are not designed to help one particular faith or one particular religion; these images have a purpose and that purpose is universal unification. All people, all religions mingling into one united nation; wiping out hatred, all the forms of differences and uniting them all with the bond of divine love. We talk about divine love at different platforms and these philosophies come from different religions and different faiths; however, we see it doesn’t seem to work. And the philosophies of multi-religious, multi-faith dialogue become futile after some time. I want to tell you: this is because divine love does not have roots in the heart. And we are working hard in this. We travel from one country to another, [where] we hold our gatherings and lectures in all gatherings of religions. Our message to everybody - all religions of every single nation on Earth - is one and the same: the message of divine love. Many people just talk about divine love. There is a Chinese proverb, 'Talks do not cook rice.' There is a methodology by which love can be established inside the heart. We need to understand that the fleshy heart is not the place of love; it is the spiritual heart which resides on the fleshy heart. There is a soul on the heart that controls the heart. When this soul is activated by a divine, spiritual, Universal Master and this soul is awakened, only then this heart is able to love God. And we have this philosophy; the Goharian Philosophy of Divine Love is for all religions, all people. Our message is the message of love. This spiritual heart is awakened by a special methodology: God’s name is spiritually inserted in the beating system of the heart. And when - with the power and authority of Lord Ra Riaz Gohar Shahi - God’s name is inserted in the beating system of the heart, the heart starts to pound with the name of God. When God’s name is activated and articulated in the beating system of the heart, it starts to generate divine light. That divine light will enable the heart to love God. That divine light will enable the heart to communicate with God; it will work like a two-way telephone. When the heart is enlightened and articulated with God’s name, then anything that comes in your heart, it will reach God. By the same token, if God wants to communicate with you, whatsoever God wants to tell you, words of God will come upon the screen of your heart and this is how you will be in contact with God. And this philosophy of divine love by His Divine Eminence Ra Riaz Gohar Shahi is now spreading all over the world. We do not discriminate. This message goes to all religions of the world. You may be a Hindu, a Sikh, or a Buddhist; you may be a Muslim, a Jew or a Christian. We all understand the purpose of every religion is to love God and - here we go - we have now found the purpose of life. This is available without any price, without any commitment and without any hassle. The message is so simple and it is the message of unification, union with God: recognising yourself thus recognising God. And not just that you will become holy and you will be in contact with God, [but] with the help of an empowered and enlightened heart, you will be able to keep yourself off of so many diseases that we accumulate from time to time. A lot of people come to me for spiritual healing. The doctors and other representatives of medical science ask me, 'How do you do that?' It is so simple. These medicines that we use have a special energy, but when you represent God and God is inside your heart, God’s energy can supersede all forms of energies. When an enlightened person blows upon a diseased person, his energy goes into the system and heals the organs. There are many thousands of people in Sri Lanka alone, [and occasions] where people came for spiritual healing and with the help of Lord Ra Riaz Gohar Shahi, they have been healed. Many women came, they could not have children - they were barren; and with the blessings of Lord Ra Riaz Gohar Shahi, now they have children. This is a short and simple message from me. If there are any questions I would be really happy to answer those questions. Interviewer: Please explain about Ra Gohar Shahi. Lord Ra Riaz Gohar Shahi is the Universal Master, the Awaited One and His message is love. He wants everybody to become holy and spiritual. It is possible. It is of course possible but, then we have to understand that different people have different priorities in life. Some want to become businessmen, while others wants to become doctors. If there are people who want to become holy and godly, of course there is a way, with the help of Gohar Shahi. Interviewer: Where is He now? He disappeared about 12 years ago but we believe that He will return. 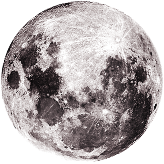 Interviewer: You were talking about the Moon - His picture or His emblem - how can we see it? The image of the Lord is visible on the Moon. It is prominent. If we can see the Moon, we can see it. We can definitely see it. Thousands of people have seen it. Especially on Poya Day, when the Moon is so shiny and showering blessings on humankind, that picture is so visible. Many people have not known that there is an image on the Moon, they have been worshipping [it] and now they know why they are worshipping. If you see the Moon, you can see the image. Interviewer: Thank you Your Holiness. So, there are a lot of foundations and organisations where a lot of members come and they give various messages and it is very nice to listen to them, it is very comfortable. And they all speak about peace, but once again, people of every community, regardless which foundation they are coming from, or which religion, they are divided among their organisations. Based on the religions, they are divided. Why do you think this has happened? There are many religions and people of every religion firmly believe they are good, they are right and others are not right. This is the cause of concern. This is why we have fights. We have different philosophies emerging and these different philosophies although appear to have the same message and logo of love, however, it is restricted to one particular faith or one particular group of people. But, I understand that if something is restricted to one particular group or faith, it can be good but it cannot be from God; because if something is from God, it will be for everybody because God created everybody. We cannot say, 'This particular faith was created by God, this particular group was created by God, and we were not created by God.' Who created us then? So, anything that comes from God is going to be universal - it will be for everybody. It will have the same impact on all nations of the world and it will be justly given to everybody without a price tag on it. Interviewer: So, this division can be demolished. If our priests understand spirituality and the message of God, and if they are connected with God. Interviewer: What if they are not? If they are not connected, they can still talk about love, they can read books and talk about it. Some have even made a business out of it. Many gurus have a label of a guru, but they are not connected with God. There are so many books on spirituality, people can read them and talk [about] it - you don’t know and you will trust them. Interviewer: But, how to recognise if somebody is from God and is connected with God? Then, God would want to take care of the entire creation because God is just, because God created everybody. Like if your father has 10 children, your father would want all children to be blessed, not just one, two or three; in a similar way, God has created everybody. The creator of Hindus, the creator of Muslims is the same God. The British, Sri Lankan, Australian, Japanese are the creation of the same God. If God is sending a facility for humankind, that facility will cater for the needs of the entire creation. This is my understanding and it is deeply rooted in common sense. We have spiritual gurus and guides who come from different religions, but I do not think if somebody is connected with God and is from God, [that they] will restrict the blessings to one particular group. This is my understanding. Interviewer: So, at the end of the day, people are looking for peace of the world or peace among the people. So, when a single person, a group or a community, if they are acting violently, how this peace can be prevailed on them as well as their opposition - and at the end of the day for the world? You see, we do not go to any school to learn how to hate. It is very common - everybody, everywhere, anytime, even without a reason can hate anybody. This is because we have the presence of a devil inside us, but when we say, 'We want to love,' we cannot love everybody, right? Because we have a devil inside us, this devil does not allow our souls to practice love. We need to take care of this devil, and in order to wipe out the roots of devil, we need spirituality - some solid Spiritual Sciences. The divine light must enter the heart and the presence of the devil must be rooted out. When this hurdle of the devil is removed from our body, then we will become free. We will become free souls. A free soul without hurdles of the devil will love everybody, all humans of the world; then you will not think twice, 'Should I love a black man? A white man? Or a coloured one from Pakistan, India and Sri Lanka?' No, the colour of the soul is the same! The soul was created by the same God. No one is superior than the other and nobody is inferior to anybody else. The soul is the same whether you were born in Sri Lanka, in America or in Australia. This division comes from human beings, but the soul is created by God. When we understand this knowledge, this spiritual methodology and we practice this spirituality, then we will find unification. The reason why we cannot practice love today is because of the presence of the devil. It is the devil inside us that does not allow us. Even brothers - when it comes to money, a brother is killing another brother. Children of the same father are killing each other. Today, we have a newest factor in terrorism in almost every religion. It is very painful to say that some of the Muslims have become terrorists; if they were connected with God, would they kill another person in the name of God? Of course not! This would never happen if they were connected. They go to the mosque, they spend time in the mosque, they read the Quran; they do everything that the religion asks them to do. Even then, why do they have hatred in the hearts? Why do they want to kill people and - it is shameful to say - in the name of God? God created everybody. Why would he hate anybody? God cannot hate anybody; he created them with so much love! I would like to remind you what Jesus said, 'Love your Lord, love your God with all your heart with all your souls,' and Lord Buddha said, 'And get enlightened. You will only understand the purpose of life when you are enlightened.' And that is so true. When you are connected with God, you will see that all the great personalities like Lord Buddha, Lord Krishna, Jesus, Prophet Mohammad, Prophet Moses said the same thing; the theme of their teachings is the same: divine love. They all came into this world to teach love. When people lost contact with God, they introduced their own philosophies and they fell into different sects and religions. And now again, when we are connected with God, although we are from different countries and different religions, we will begin to love everybody! That’s my understanding. Interviewer: So, how can people, especially in Sri Lanka, approach the Kalki Avatar Foundation in Sri Lanka, and how can they practise and get trained on this? 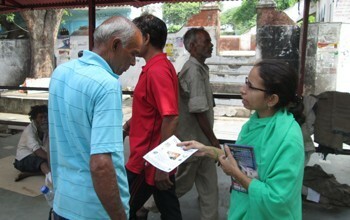 People in Sri Lanka are already aware of the activities of Kalki Avatar Foundation. Even yesterday, I went to a temple and there were more than a 1000 people. After I left, another 2000 people came; but the management of the temple said, 'Now it’s time. We can’t allow you more time.' So I had to leave. So, I have programmes all over Sri Lanka. I come here two times a year, and initially when I talked about spiritual healing, people did have their doubts and reservations. But now when a lot of people have been healed, found peace of heart and feel vibration in their chest, now when they feel God’s love in their hearts, they are coming into the fold of Kalki Avatar Foundation. I am happy that people are beginning to understand the purpose of life. I am also happy that I have caused them to bring peace into their lives, and now they are happy. My message to all people in Sri Lanka is love. But this love has to be learnt through Spiritual Sciences. If it is just talk of the tongue, this will not serve the purpose. Sri Lanka has been at war for many years and it is very good that we have peace in this country. It is a beautiful island, a beautiful country and beautiful people. And these beautiful people should have beautiful hearts also. Interviewer: Yes, surely we should. So, once again if I come back to the healing part, now if one person comes to you or Kalki Avatar Foundation, do they have to believe His Holiness or Kalki Avatar Foundation in order to get cured? No, they don’t have to. They don’t have to believe. For example, yesterday, more than a 1000 people came for healing. We never asked anybody, 'Who are you? What is your religion?' No. It is understood they are creation of God. And this facility is from God - what more? Just come and we will do what we can. Nobody has to believe - when they are healed, they will definitely believe. Interviewer: Some organisations, some messengers in other religions sometimes they even discourage taking medicine. They believe only in healings. So do you also discourage medicines, western medicines or Ayurvedic medicine? And do you tell them to believe only in the faith to be healed? Actually, I have a different opinion about this. Some diseases can be healed by help of spirituality, and some others cannot be healed with spirituality. So I check whether the cause of this disease is spiritual or medical. If it is medical, then I ask them, 'You need to see a doctor. We can’t help you.' Because, what happens is, sometimes when our food is not good, our water is not good, then we begin to have problems: kidney failure, heart failure. These problems emerge when there is too much oil in the food, too many free radicals come out from the meat, and we develop higher cholesterol levels. I cannot take away the cholesterol from your heart by blowing on you. You need medical help. But in most cases, in every single part of the world, people become diseased by evil spirits. Some evil spirits possess them and then they become diseased. When they come to us, we blow upon them through spiritual healing, the evil spirits leave their body and they are good - in most cases. But in some cases, no evil spirit is bothering them; they become diseased because of their own wrong choice of food. Interviewer: Now, everybody believes there is an end for the world. The world is going to end and everybody is waiting for that end of the world; and nobody knows when it is going to be. Your Holiness, in your opinion, first of all, what is the meaning of the world ending, when is it going to come and what are the signs of it? For example, I have started drinking water from this glass. I will take another sip and then this much water [very little] will be left in the glass; it is easy to predict, this is end of water, right? In a similar way, we have problems in this world now. For example, the sun, the global warming and lack of water. You know, you go to hotels and they say, ‘Don’t waste water! We do not have enough water!’ And the icebergs in the North Pole are melting, the sun is about to finish off its hydrogen - all these signs are confirming that the end of the world is near. And, the behaviour and attitude of the people - they do not have respect for humanity any more. Maybe tomorrow or day after tomorrow, people will begin to say, ‘I think the world should end now. We have lost human values, we have lost spiritual values. Our son is not respecting the father, our daughter is not respecting the mother.’ And it is true, the end of the world is near. I can see the signs. - The resources are getting used up. Interviewer: No, what I mean is, what will happen after the end of the world? When you say 'End of the world,' what happens to the people, what will happen to Earth? When the world ends, we will all die. Simple. And this Earth will blow up; there will be no Earth. We will all die. This is the end of the world. Interviewer: So, what is God going to do about it? I mean, was this his plan? That’s his plan. I mean, even if the world does not end, we die one day. When we die that’s the end of the world for us; our souls shift into another realm. Death does not mean, 'That’s it, you do not exist anymore.' We are here in this world for a brief sojourn of time. After this time, 60-70 years we spend in this world, our body is buried or cremated and our soul is taken into another realm. Some people believe there is a paradise and there is a hell. Good people will enter paradise and bad people will go into hellfire. That’s what is going to happen. Interviewer: So, you believe in hellfire? Well, I do believe in hellfire, there and here. For some people, this world is hellfire. I mean, if you don’t have bread to eat, you are living on a footpath, you have a disease and you can’t heal yourself, you don’t have money, you can’t eat properly, you cannot have good education, you cannot raise your children, then this world is like hellfire for you. For some people, this world is paradise; some people have big cars, big bungalows and some other people can’t even eat food. For them who do not have enough money to raise their children, those who cannot send their children to school, this is hellfire. And then we have fake gurus. The poor people will go to fake gurus, ‘Guru, please pray for me,’ and the guru will say, ‘Okay, give me 10 000 Sri Lankan rupees.’ The poor will become even more poor! That’s the problem. For them it is hellfire, and for people who have a lot of money, this is paradise. I mean, I am talking about the real, hard fact of life. Interviewer: So, you say there are a lot of poor people out there and they have no money; how can they survive? Is their fate to die without any money? Or is there a way for them to get money and live [well]? There are a lot of poor people in Pakistan and in India. Millions of people live their life on the roads, on the footpath. It’s not that they do not want to work; they want to work but they have no education. Hard luck. Some people work in television station - they will work for two hours they will make one lakh (100 000) rupees - and they [the poor people] will work 12 hours and make 10 rupees. What can we do? We have more chances of making money, because we are educated. We have been to schools and colleges; we have more opportunities and chances. They somehow or other didn’t do what they should have done. Or maybe, they didn’t have opportunities available to them. I do not know whose fault is this. But this is a hard fact of life. Interviewer: In Sri Lanka, they talk about Karma which means in the past life they had done something wrong, that’s why they are suffering now. This is part of the teachings of Buddhism. So do you believe in Karma? Yes, I believe in Karma. That is very true. But then you should wait for the Awaited One to liberate your soul, the Karma cycle! He can liberate you from the Karma cycle and that is the time for everybody to have this liberation. Interviewer: So, to get that blessing how much do we have to pay to the Kalki Avatar Foundation? Pay? No, you don’t have to pay anything. As earlier I said, this is from God and seeing is believing. I claim today, [that] this facility is from God. And when you are connected with God, then you will believe yourself, without me asking you to believe it. People can get liberation. You don’t have to pay anything; God is not a businessman. I mean, we breathe - the air comes from God. It’s free! Water is free. Sunlight is free. When the prophets were sent, they were free. The prophets did not charge anybody. For example, Lord Buddha, did he charge anybody for his teachings? No. So, anything that comes from God is free. We don’t charge anybody anything, never. And I say this: if you find out that we are charging one penny to anybody, you can stop coming to us. We can never do that. For example, being a guru is not my job; I have a business in London. I come here to serve humanity; this is not my business. This is for my heart: the labour of love. Love for humanity. I want to please my Lord, that, 'I am serving your creation, be merciful to me.' That’s all. Interviewer: So, if people want to get healed in Sri Lanka, where and how do they have to approach Kalki Avatar Foundation? A lot of people contact us from time to time. We have contact numbers, we have Kalki Avatar Foundation here, and the president and the other staff of Kalki Avatar Foundation are local. Interviewer: So, you do everything for free and you don’t charge and people but, do you take any contributions? Interviewer: So, that means you do your own business and you cover your own expenses, including travelling. Interviewer: And why do you do this? We do this to please our Lord. Interviewer: And do you invite others also to do the same? Well, our members, we contribute from among ourselves - our own members who had spent time with the Lord Ra Riaz Gohar Shahi. And if somebody wants, he becomes a member of our organisation and if he feels, 'They are doing good work,' and he also wants to contribute, we don’t stop him. Interviewer: If there is a national disaster, do they [Kalki Avatar Foundation] help with that kind of humanity work as well? There are so many organisations who do that. I do not want to lie. There are so many organisations who do that, but nobody is doing what we are doing in this field of spirituality, because you need expertise. I mean, every time there is an earthquake, there are so many organisations who stand up and do this work. And we do not have that much money; you know, you need billions of dollars to help those people who become homeless. We don’t have that much money. We don’t receive aid from any country, we are not billionaires. Interviewer: So, you said you have some members, experts, who are helping with the spiritual work here while you are in London. Interviewer: How do they work? How long do they train themselves? If a common man walks in, how long it will take for him to train himself? For him to get the first blessings, then the training? And how he can contribute back whatever he has got trained? Okay. If you ask me, 'Train me to get mangoes,' I will give you a seed and you will sow that seed. I will tell you, 'Just keep watering it.' And maybe in one or two years, you will have a big tree. And you will say, 'Where is the mango?' I will say, 'Wait, you will see the mangoes.' And in some time, you will see the mangoes hanging from the tree. Right? And then you start plucking up the mangoes and selling them. In a similar way, the seed of love, spiritually, is implanted in the heart and it generates divine light. And it awakens the entire spiritual system. You begin to love God. You begin to feel this energy, you begin to feel good; you begin to love everybody. You have this enthusiasm in you, you are in high spirits. Negative approach to life, negative attitude and being evil come to an end. You begin to serve humanity and you begin to love them. This is what happens when the seed of love is implanted in the heart. It’s not like a book, that you will read and you will get trained. It is the spiritual thing. When it is implanted, then your soul will tell you what to do. Your soul will begin to love. It’s all about love. It’s all about spirituality. It’s all about spirit and soul. You will see it when you will have it. You will only know how hot it is when you enter the kitchen. And you can ask people here. Our president is Sarasvati, she is a wonderful woman; and we have Rama Lingham - they are our main office-bearers. They [members of Kalki Avatar Foundation Sri Lanka] really achieved some spiritual status; this is why they are here in Kalki Avatar Foundation. And they are not from common people. Some of them are businessmen, some others are good members of the society. Maybe you should interview one of them, ‘How did you learn spirituality?’ They will tell you how. I don’t want to say it with my word of mouth; I would be blowing my own trumpet then. Interviewer: So, we all are basically looking for love and I think we heard a lot of love from Your Holiness and spirituality. We understand your spirituality teachings. You came last time and you taught us this time also. So, when you came last time and you came this time to Sri Lanka, what do you see different in the country as well as your members and your spiritual followers? I am very happy and very grateful to your television network, and personally you. I really admire you, you are a wonderful person. I feel good; there are issues, but those issues can be resolved. But this time I feel more energetic and I feel more inclined towards meeting people - as many people as possible, so that people can be blessed and can find peace in their life. I feel great and I am especially grateful to this television network. They have been very kind. Obviously, it’s all thanks to them that we are able to put our message across people and I hope they will invite us in the future also. Interviewer: How many other countries have you travelled? Or recently, where did you travel and how do you carry the [message of] love among these countries? I have recently visited the United States of America and Canada. I spent about 40 days in America and Canada. I had a programme in Toronto; there were different people - Jews, Christians and some others. It’s on YouTube. You can see how people were reacting and how happy they were. So, it’s a kind of spiritual bliss inside the heart when you see [that] different people from different religions are sitting together and they are talking about love - and they are actually feeling love. On the other hand, we see people who are busy in hateful crimes, killing each other, spreading hatred. Sometimes it's really difficult to breathe in these conditions. But, with this spiritual message, you feel a fresh breeze, fresh air. This is why I want to do it more and more. With the help of your TV network, we can put this message of love across many nations and many countries. Interviewer: So, can you kindly share some wonderful experience which you would like to share with us? From your travels around the world, you must have experienced something which you can share with us, which was a surprise to you or you were very happy to experience. There are so many incidents that take place every day in this world. But, in the recent times, most of the things that we experience is really bad - hatred, terrorism. The heart cries, the heart is really in pain. We are all creation of one God -although we practice different religions, but we should not hate anybody. We should just love. It is nice to love and it is even nicer to be loved. And to live in peace to live in harmony, I wish we can do that one day with the help of this. Interviewer: Okay, I would like to finally ask two more questions. One is: how do you see the future of the world? The future of the world is bright. I have great hope. Our future is very bright. When the Awaited One shows up, then He will fill hearts of everybody with love and everybody will be happy. But this period from now on until the Awaited One comes is turbulent times. We have to be very patient and we have to make sure that we respect human beings. Humanity is the biggest religion. We have to respect all human beings. We should not break anybody’s heart. We should not harm anybody. But, that will happen when the devil is rooted out. Interviewer: While you are carrying this message, do you face any opposition from various other religious groups or any other particular group or sect? No. People may have their different opinion but, we do not say anybody is wrong; we respect all religions and we respect all humanity. We are just concerned about telling them our message. Obviously, if they do not want to learn our message, nobody can force them. And we are not in the business of enforcing this message upon people. But, we are very happy when people understand the message of love. We are really happy. And I am really happy that the reception, the way people in Sri Lanka receive this message - it’s really beautiful. Interviewer: So, the final question is: do you want to give any message to our Sri Lankan people, for their life of peace and happiness? For our brothers and sisters, and our mothers and fathers in Sri Lanka, my message is that we should respect human beings. We should love and spread love. We should wipe out hatred. Humanity is the biggest service; humanity is the biggest religion. We should respect everybody and learn to love. You cannot diminish hatred with weapons; you cannot wipe out hatred with hatred. You need love. If you want to root out hatred, you need love. Weapons will increase hatred, love will diminish hatred. That’s my message to everybody. Interviewer: Thank you Your Holiness Younus AlGohar. So, we like to thank you and your representative team who came to our studio and also gave this message. We got this message one week ago; your representative coordinated [with us] and now you are here. We are very happy to receive you and definitely we received a lot of love. Also we know that you are representing the Lord Ra Riaz Gohar Shahi and we would like to know about Him more, and I am sure the people who are watching this programme would like to know. And if you would like to know more about this, you should contact our local telephone numbers: 0774976513 and 0771604499. Other than that, you can always see these messages are available at www.kalkiavatarfoundation.com. So in this website also, you should be able to read more and understand. And Your Holiness, do you have any magazines which we can read from home, or any books? We did use to have one but now it is online. Interviewer: So, everything is online. Interviewer: So, this Kalki Avatar Foundation, once again if I may, is a multi-faith and a non-religious spiritual organisation that enlightens the humanity by heart meditation and fills the heart with love and peace. They are concentrating more on meditation, love and peace. So, today we had this special guest here, His Holiness Younus AlGohar. He is the representative of the Lord RaRiaz Gohar Shahi and also he is the chief executive officer of Kalki Avatar Foundation. We would like to close this session on this note. We would like to wait for his next visit to Sri Lanka, when we will be able to learn more, understand all his experiences and reap more materials when he comes next time. Thank you, Your Holiness.